As a San Francisco resident who pays too much for a tiny piece of space to store things, all of the things I own need to play nice inside and outside. These are my picks that transition seamlessly from work to play for the weekend warrior. The Farm to Feet Greensboro 1/4 Crew is the sock god’s gift to mankind. Seriously. 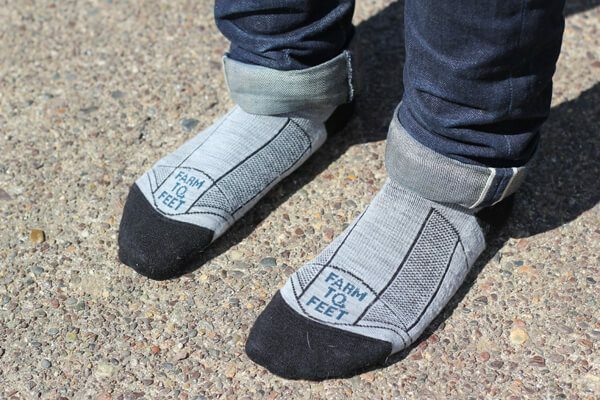 I’m not really sure how Farm to Feet did it, but I am addicted to this sock and they will never leave my feet again. Mostly. You’ve heard of farm to table, but what about Farm to Feet? 100% US ingredients and 100% US manufactured, this North Carolina company creates high performance merino wool socks sourced directly from American Sheep Industry ranchers and manufactured in the United States.